meet new friends, dine in and enjoyed the tour, every tourist should try this tour. Tokyo's vibrant food culture is legendary, and is one of the many reasons why people flock to the Japanese capital. 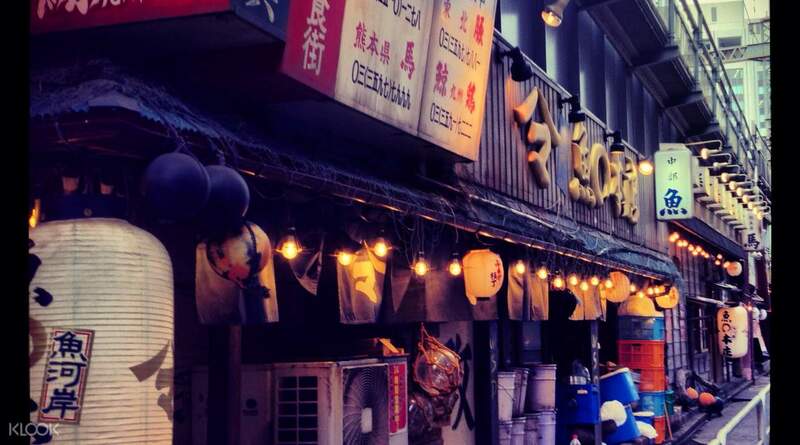 On this Tokyo evening tour enjoy the food culture of Tokyo from a local's perspective and discover the tradition of food in everyday life in Tokyo. 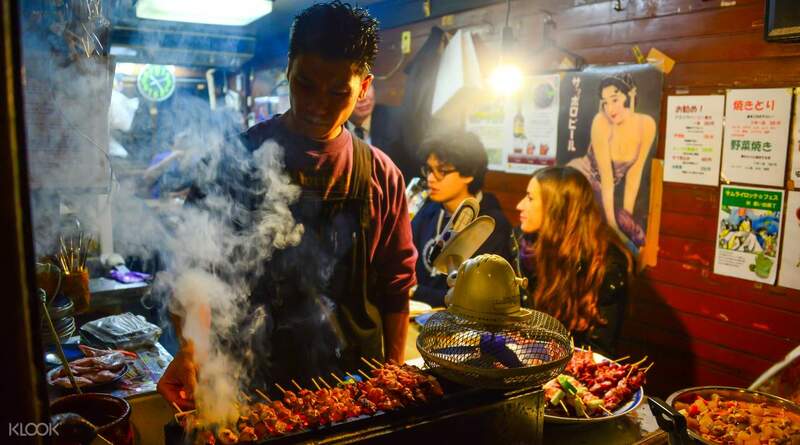 You'll stop by a number of local food hangouts and munch on yakitori (meat skewers), wagashi (Japanese sweets), Monja-yaki (pancakes), washed down with a beer or sake. Throughout your Tokyo food tour, your local guide will explain the history of food and the places you visit, sharing with you personal experiences, family traditions and customs during the tour. 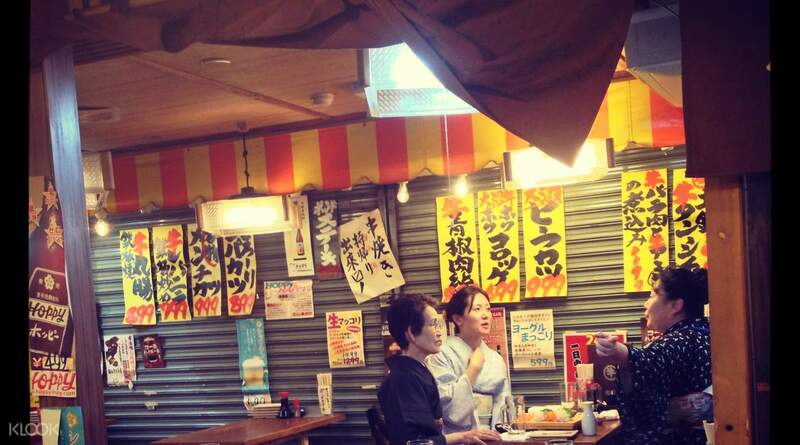 Dine alongside local Japanese - you won't be going to tourist spots! Great tour and delicious food with a Tokyo local guide. It was nice to have a guide point out local attractions and take us to some great restaurants where we could relax and have yummy food ordered for us to try. Great tour and delicious food with a Tokyo local guide. It was nice to have a guide point out local attractions and take us to some great restaurants where we could relax and have yummy food ordered for us to try. This was a surprisingly great tour at a good value. Out tour guide was awesome and took around some hotspots of Tokyo food and drink. Good way to meet other tourists too. This was a surprisingly great tour at a good value. Out tour guide was awesome and took around some hotspots of Tokyo food and drink. Good way to meet other tourists too. meet new friends, dine in and enjoyed the tour, every tourist should try this tour. meet new friends, dine in and enjoyed the tour, every tourist should try this tour. Fun and friendly way to explore the "less-touristy" sights (and corners) of Tokyo. Enjoyed guide's food recommendation and sharing of cultural insights, (no hard sell). The monja was good! 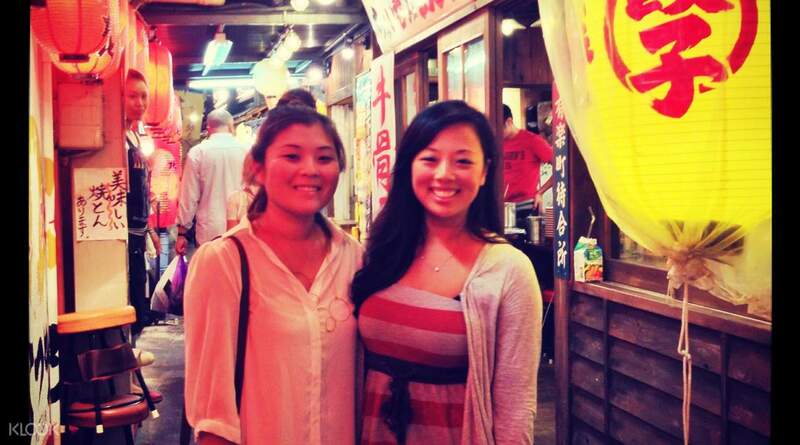 Fun and friendly way to explore the "less-touristy" sights (and corners) of Tokyo. Enjoyed guide's food recommendation and sharing of cultural insights, (no hard sell). The monja was good! It was a great experience. Definitely going to recommend. It was a great experience. Definitely going to recommend. Our guide was very professional! We enjoyed the trip so much! Our guide was very professional! We enjoyed the trip so much! I truly enjoyed the tour and fully satisfied with the delicious food. I truly enjoyed the tour and fully satisfied with the delicious food. Nice trip. We have traveled several points that provided delicious food. Nice trip. We have traveled several points that provided delicious food. To our surprise, our tour guide is a French who can speaks Japanese. He's nice and friendly, but this price was a little high in terms of the food. To our surprise, our tour guide is a French who can speaks Japanese. He's nice and friendly, but this price was a little high in terms of the food.